The gist: The team redeveloping Downtown’s old federal courthouse requested an extension on the 60-day due diligence period back in February and have yet to file for a building permit. Nevertheless, they maintain the project is on schedule to start construction in June. 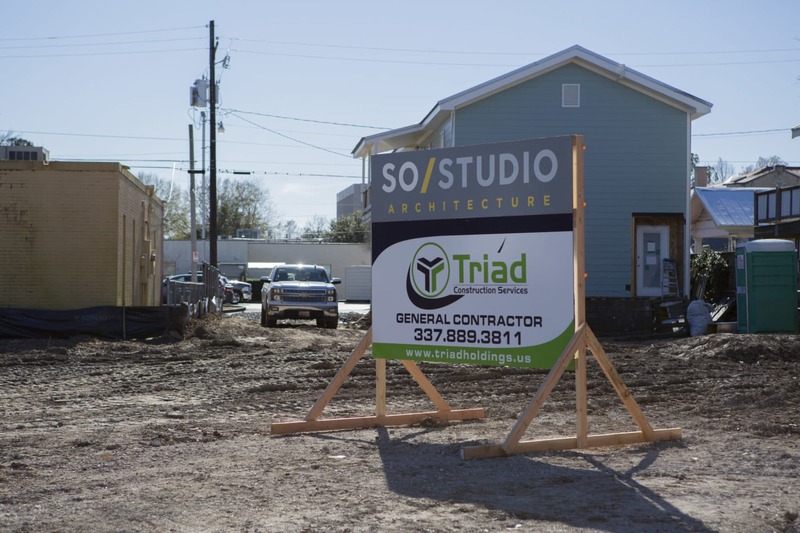 Get caught up, quickly: Last year, Mayor-President Joel Robideaux successfully navigated a sale of the long-vacant building through the council to a private development team for $1.4 million, a feat that had eluded proponents for more than a decade. As contracted, the project would place 68 housing units and 25,000 square feet of new commercial space on a prominent street corner. 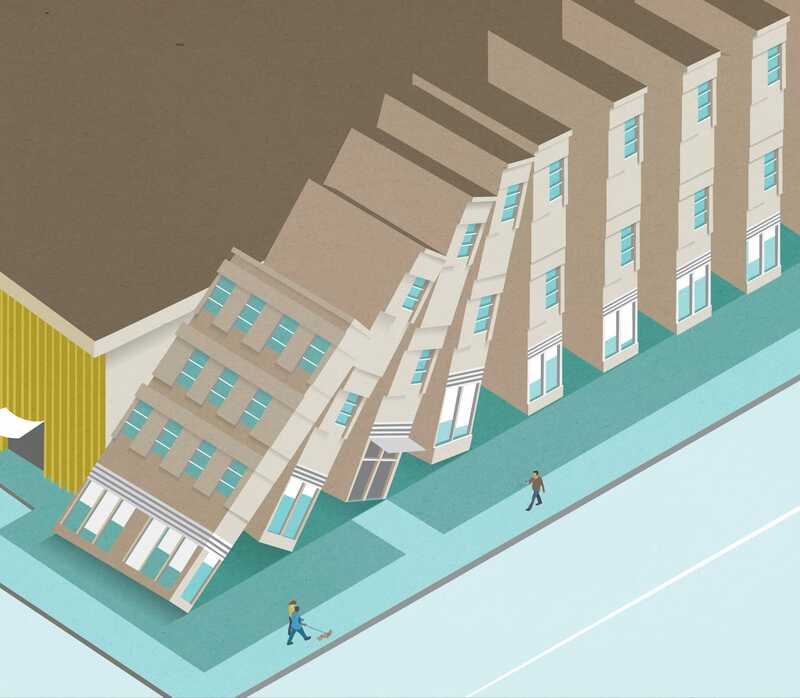 It represents an important domino in toppling the district’s residential development quagmire. Skepticism has clouded the project since the beginning, strung along by a lack of new information. "Everything is moving along smoothly,” Assistant City-Parish Attorney Steve Oats told the City-Parish Council Tuesday night, noting the purchase of the old federal courthouse and adjoining properties will close in May. Oats provided the status update at Councilman Jay Castille’s request, and has served as the project’s default spokesman since last year. Castille has questioned the aggressive timeline set by the administration and the experience of the Place de Lafayette project’s team led by financier E.J. Krampe III and contractor Jim Poche. Construction activity must begin by July 1 or the developers will face a $25,000 monthly fine, according to the contract. The inspection extension does not move the start date or the substantial completion date of December 31, 2020, which still backstop the project timeline. The timeline is doable but leaves little room for error. For comparison, Developer Stephen Ortego tells me permitting on his Vermilion Lofts mixed use development Downtown took six months to complete. Even quick turnarounds on permits are measured in weeks or often months. “It moves as fast as you push it,” he says. 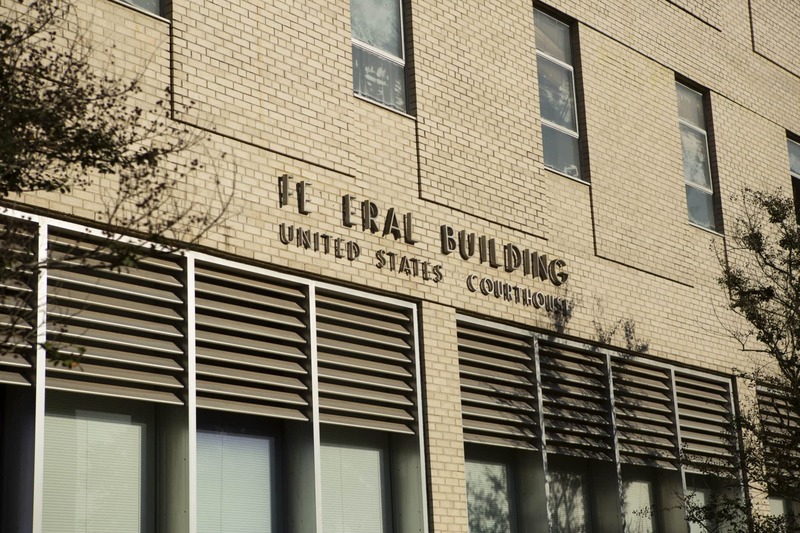 Ortego was part of a team that pitched unsuccessfully for the old federal courthouse. Variances could be the real hurdle. Going through the Board of Zoning Adjustment can be a lengthy process, especially if there’s any back and forth on variances requested. Ortego says the process can take three months, but that developers can pursue a building permit simultaneously. "I'm assuming from the drawings they will have to go BOZA," Ortego says, referring to the rendering posted during the Robideaux Report last month. As depicted, for instance, it appears some newly constructed buildings on the site could be set too far back from the sidewalk under Downtown's development codes, he says, requiring a variance. It's unclear if the drawing represents a final concept. Calls to Krampe, Poche and project architect Dyke Nelson were not returned. A rendering of the Place de Lafayette project tweeted by the mayor-president and unveiled at the Robideaux Report last month. What’s your definition of commencement? According to their contract with LCG, the developers at minimum would need to put up construction fencing with contractor signage, begin interior demolition and roll trailers and other equipment on site. It’s possible that work could be accomplished without a building permit issued, I’m told by sources with development experience. Whether it would pass a skeptical council’s smell test is another question. Why this matters: The old federal courthouse is a big deal for Downtowners and the mayor-president, who has held the project up as a signature win for his administration. Should something go sideways, it could let air out of recent Downtown enthusiasm and devalue an important accomplishment for the mayor-president’s re-election bid. The gist: Waitr is busy taking over the Lemoine building. CGI is sniffing for office space. Meanwhile, new residential projects in the works could break down the housing dam. Vermilion Lofts broke ground last week to some who’s who fanfare. The project, a mixed-use development at Johnston Street and W. Vermilion Street, represents something of a coup for Downtown. Scheduled for completion by fall of this year, the loft development will feature 24 units (studios and two-bedroom apartments) and 3,600 square feet of commercial space on the bottom floor. Developments like Vermilion Lofts are the norm in successful urban centers; Lafayette’s got a long way to go. Vermilion Lofts: 24 apartments and studios. Under construction. Estimated completion in 2019. Buchanan Heights: 30 townhomes. Under construction. Estimated completion unknown. The Monroe: 70 apartments. Seeking approval for HUD financing. Estimated completion one to two years. Place de Lafayette: 68 apartments. In due diligence. Deadline for completion Dec. 31, 2020. The big question: Is Downtown ready for success? Vermilion Lofts tested the limits of Lafayette’s aging wastewater system. LUS has not given the all clear on the project’s 34-unit second phase. Sewer capacity remains a challenge long term; Place de Lafayette (the old federal courthouse redevelopment) will have to invest in sewer upgrades to go forward. That project is not yet a sure thing. But it’s not just the pipes that could clog up momentum; some developers say it’s just too hard to build Downtown. “It’s great we have a lot of momentum, but that momentum can only go so far,” Vermilion Lofts developer and architect Stephen Ortego tells me, if the district doesn’t figure out how to navigate developers through thorny regulations and higher taxes. Earlier this year, Mayor-President Joel Robideaux unilaterally selected the team behind the project, led by developer Jim Poche, architect David Weinstein and Ed Krampe, a personal friend of Robideaux's. The gist: For a couple of months, it seemed Lafayette’s “monument to indecision” was finally about to come unstuck. 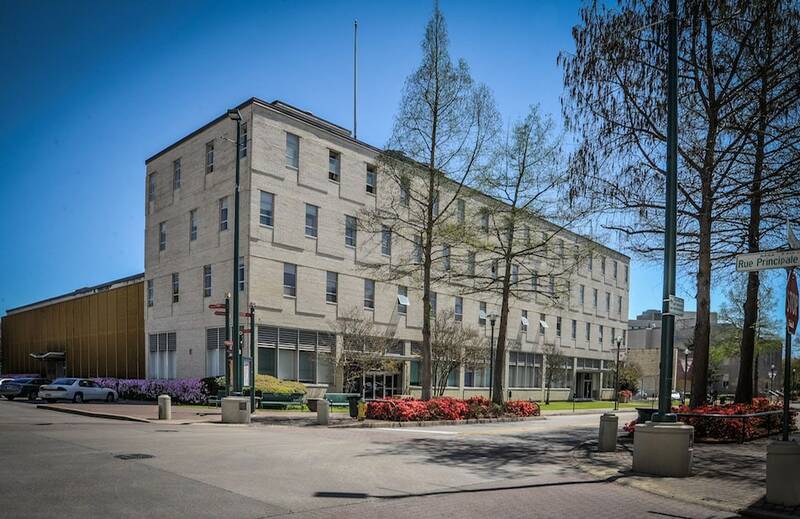 A deal to sell the old federal courthouse Downtown for private redevelopment was presented to the City-Parish Council Tuesday night, and the council tabled it until Nov. 20, sending the deal back to the administration for wholesale revision. The proposition now seems in jeopardy. Some background: While we usually single out the old federal courthouse, the 2-acre site along Jefferson Street is really three structures owned by the city — a former library, a police substation and the old AOC facility. The property is generally considered a blight on Downtown’s main drag and has sat unused for the past decade while leaders argued whether to put it into private commerce or use it to site a new parish courthouse. Mayor-President Joel Robideaux moved the ball farther than any previous effort, negotiating a deal to sell the property for $1.4 million to a group fronted by Downtown developer Jim Poche and financially backed by E.J. Krampe. The group, selected unilaterally by Robideaux from five respondents, proposes a 68-unit mixed residential and commercial development. The deal came before the council for final vote and was expected to pass at long and laborious last. Then things went awry. Now you’re caught up. The city would pay for sewer upgrades, guesstimated at $400,000, to accommodate the development while other developers are often required to pay for their own upgrades. CARLEE. IF YOU’RE WATCHING. PLEASE ANSWER. Seemingly no one, save Assistant City-Parish Attorney Steve Oats, was there to speak for the deal or offer definitive answers to the council’s inquisition. Oats summoned former LCG Planning Director Carlee Alm-LaBar, not in attendance, to answer some questions from the council, at one point asking aloud, as if to the heavens, “Carlee, if you’re watching, please answer.” Robideaux was conspicuously absent from the proceeding, leaving the measure without a real champion. Council members were clearly concerned that the contract offered power to the mayor-president to approve cost overages without their input, yet Robideaux was not there to settle their stomachs on the issue. Communication between the council and administration is a festering problem. If you can’t flush a toilet you can’t do development. That’s the way a local architect explained the Downtown sewer problem to me. “The Romans figured that out over 2,000 years ago,” he added. 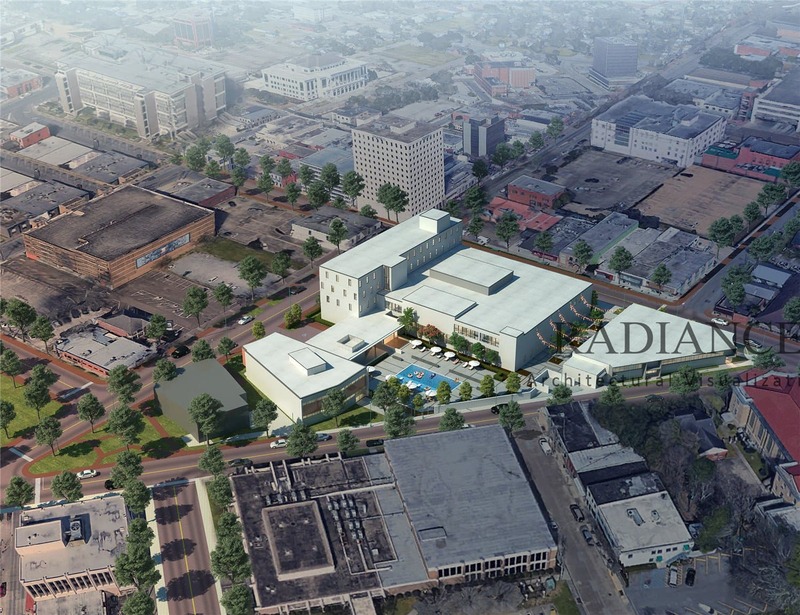 The urban core’s lack of sewer capacity is a key variable in this deal, and Robideaux has sought to leverage a public asset to address what’s become a sticky problem for Downtown development. As I’ve reported previously, 100-year-old sewer lines are nearly maxed out and unable to accommodate more residential development in the urban core. Developers have walked away from projects after LUS sewer officials told them the lines can’t handle the stress. Robideaux’s idea here is to flip the old federal courthouse and use the proceeds to invest in badly needed sewer infrastructure. Oats told the council the improvements tentatively planned would expand capacity beyond Downtown. In principle, that seems to make a lot of sense. Council members said that was unfair. The vote count was always going to be tight. In hindsight, it shouldn’t come as a surprise that discussion didn’t go smoothly. Clearly, council members felt unequipped to move forward with information presented to them, and more or less the same block that has always opposed redevelopment of the site remains, led by Jay Castille and Kenneth Boudreaux. But even members most likely to support the deal in principle raised eyebrows. “I love the idea of this, but I have some concerns about how it’s written now,” Liz Hebert said. That’s a communication problem — and it appears to be on Robideaux. ▸ The gist: Come Dec. 31, 2020, the old federal courthouse on Jefferson Street will be the site of a 68-unit apartment complex and 25,500 square feet of commercial space, along with a pool, clubhouse and common areas. ▸ That’s the substantial completion date (certified by the architect) laid out in the terms of an ordinance scheduled for introduction to the City-Parish Council Sept. 18 with final adoption on Oct. 16. If the development team, Place de Lafayette and Weinstein Nelson Developers — doesn’t meet that deadline, it will face penalties of $10,000 a month, according to the ordinance, and even stiffer penalties, $25,000 per month, if it does not commence construction at the 2-acre site by July 1 of 2019. ▸ Pending council approval, the long-vacant eyesore will be sold to the development group for the appraised price of $1.4 million, money that will be deposited into an escrow account and used by the city for environmental remediation and sewer upgrades. According to The Advocate, developers must cover the first $75,000 for removal of asbestos and any other hazardous materials, and they have the right to terminate the agreement if the city does not pay costs exceeding that amount. Lafayette Utilities System is planning $7 million in sewer upgrades over the next several years, which should address some of the pressing issues of sewer capacity Downtown, but the ordinance calls for the city to reimburse developers for any city-approved sewer work they might need to undertake. ▸ The impact: The project, which includes the adjoining old police department building on Jefferson Street and former AOC offices on E. Main Street, is of immense importance to redevelopment efforts Downtown. It will bring the first major residential component to the city’s core, a potential catalyst for more residential construction in the coming years. It’s also a signature accomplishment for City-Parish President Joel Robideaux, who is poised to break through the impasse that has plagued earlier attempts at bringing the spaces back into commerce — namely pushback from a well-connected courthouse crowd insistent on building a new parish courthouse at the site — with a speedy process that put the mayor himself in charge of choosing the development team. Work at the Jefferson Street site will be underway for all to see just as Robideaux is campaigning for re-election to his second term. No project is perhaps more emblematic of the morass Downtown has been in than the old federal courthouse. Yet, a project of this magnitude is exactly what we need to catalyze development. Not long after the city received and released ideas for the Old Federal Courthouse from five interested developers, it surfaces that Downtown may not have the sewer capacity to serve their ambitions. The Old Federal Courthouse in Downtown has languished unoccupied for about 10 years now. Last year, a team of consultants advised the city to do something with the property, warning that it had become a “monument of indecision” — words now stenciled in polite graffiti on the courthouse door. Now, five groups have thrown their hats into the ring to redevelop it, responding to the city’s call for credentials. The projects and players range in ambition and notoriety. One idea would add 135 new residences to the district. Below are the responses and some overviews.